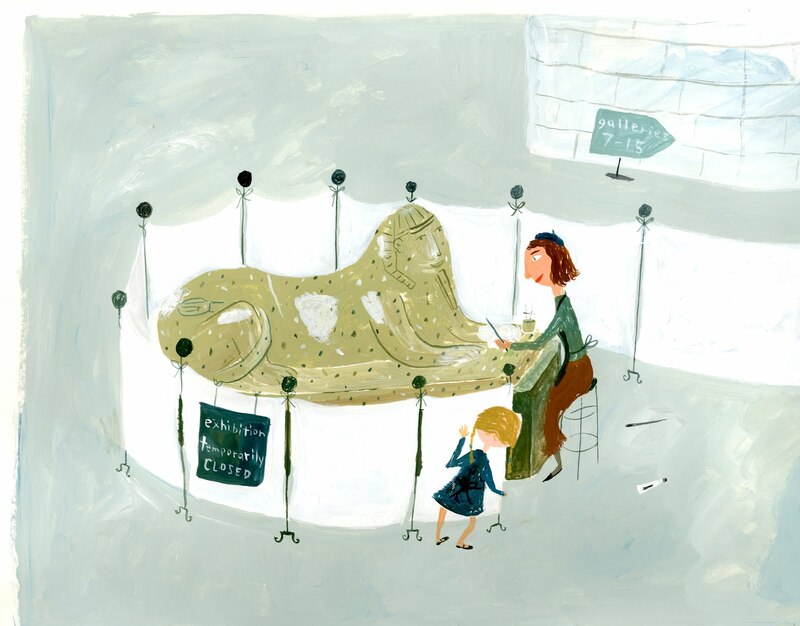 But the DINOSAUR book is the second in the series of "museum" books. 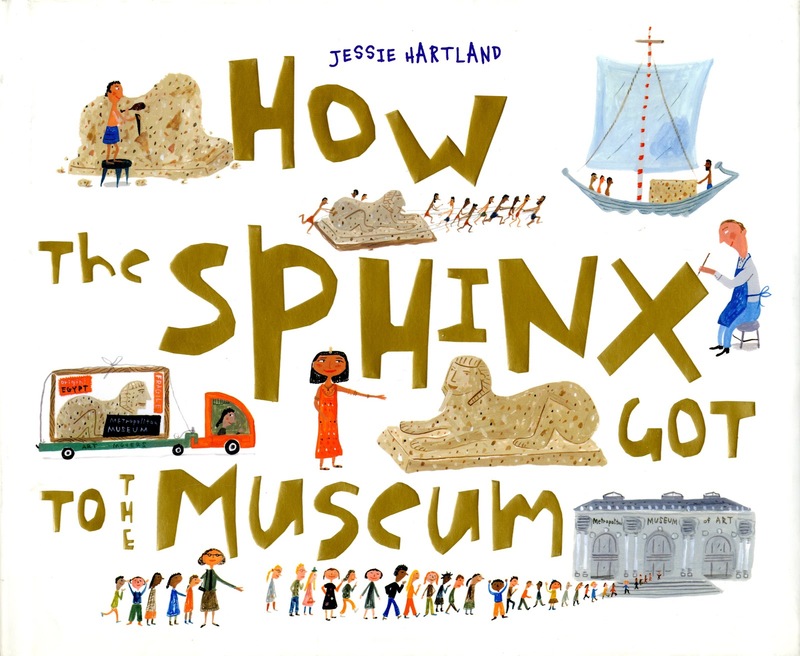 The first, published in 2010, is "How the Sphinx Got to the Museum"
It's about the story behind the sphinx of Hatshepsut, found at New York City's Metropolitan Museum. 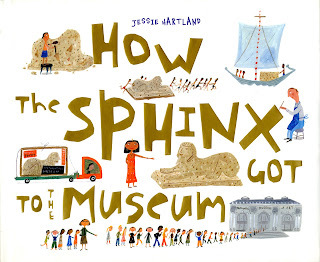 And it's about the many people who worked behind the scenes to find, move and restore the sphinx.